Xolo mobiles launched Xolo Q700 at price of RS 9999 . Xolo Q700 is another quad core device from xolo after xolo Q800 . Xolo Q700 is successor to highly well known xolo Q800 . I WANT TO SAY ONE THING TO ALL THOSE WHO WANTS TO BUY AN QUAD CORE DEVICE PLEASE WAIT TILL 15TH JUNE . As all the Indian & Chinese Mobile manufacturer are putting there best to rule in the Indian market . So , several device will be launched till June . Xolo Q700 has 4.5 inch QHD resolution display ( IPS ) . The device runs on Android 4.2 jelly bean Os . Xolo Q700 has 4.5inch QHD resolution IPS display . The Smartphone runs on Android 4.2 Jelly bean . It is powered by Mediatek MTK6589 Quad core Processor . The device has 1GB ram & 4G ROM ( internal memory ) . Xolo Q700 has 5MP rear camera with BSi sensor and vga front camera . The mobile phone can easily record as well as can play 720p videos at 30fps . The device is powered by 2400mAH battery . The battery of the device claims standby time of 380hrs ( 2G ) & 350hours in 3G . The device has 32GB expandable memory . 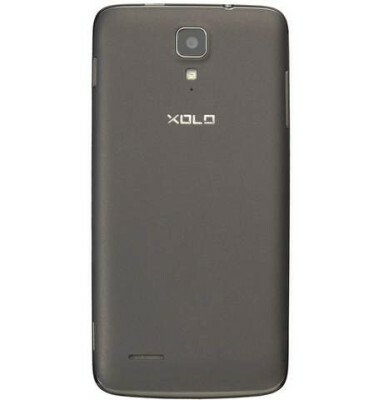 Xolo Q700 has Accelerometer, Magnetometer,light sensor & Proximity sensor . The device has 5MULTI touch . The device has 3G , 2G , micro USB 2.0 , wifi , Bluetooth & 3.5mm Audio jack . Xolo Q700 price is Rs 9999 on Flipkart. 4.5inch QHD IPS Screen . 3G , 2G , micro USB 2.0 , wifi , Bluetooth & 3.5mm Audio jack . Below are Some rivals / competitors of Xolo Q700 . ALcatel One Touch Scribe HD .